I really try to understand that innovation is a process of refining. Of failure and success. You have your good ideas, and your have your not-so-good ones. But the smartwatch market seems to not be learning... anything from the not so good ones. Meet the Omate TrueSmart, the latest darling of Kickstarter's seemingly insatiable smartwatch fetish. At nearly $50,000 of its $100,000 goal at the time of this writing, mere hours after going live, this is going to get funded. It's going to happen. It may even come to physically exist as a thing that people receive on their doorsteps, eyes wide with anticipation and optimism as they gleefully tear open the TrueSmart's packaging. They may even convince themselves to like it for a little while. I haven't used it. I will probably never use it. I don't want to use it. But it doesn't really need a hands-on for me to tear it apart. The Omate TrueSmart may be the disgustingly glorious peak of ridiculous crowdfunded smartwatches that make little sense in a world where soon enough the likes of Samsung, Apple, and maybe even Google (and probably plenty of other companies with, you know, money) will be getting in on the action. Let's start with what the TrueSmart does right. It's waterproof. It has built-in 3G connectivity, so it's actually a phone! That's cool. It runs Android 4.2. Uh, it... attaches to your wrist? I find that's pretty important as a feature in the watch market. And it's waterproof. They really want you to know it's waterproof. From there on, things go downhill pretty quick. Why is the TrueSmart so... girthy? Well, because it's packed full of stuff, of course. Stuff like a dual-core 1.3GHz processor (manufacturer not stated), 1.54" 240x240 LCD display, 512MB of RAM, 4GB of storage, a side-mounted 5MP camera (yes, really), GPS, Bluetooth 4.0, Wi-Fi, and a 3G micro SIM slot. Fancy. The SoC, by the way, is probably a MediaTek, suggested by the naming of the baseband version in some of the screenshots (MOLY.WR8). As you may have guessed, then, the TrueSmart really is a smartphone on your wrist. Like, as close to literally being a smartphone on your wrist as possible without actually just attaching a smartphone to your wrist with some Velcro. Ambitious! And probably a really, really bad idea. Let's explore why that is. 600mAh. That is the capacity of the battery the TrueSmart will ship with. Omate claims "up to 100 hours of standby time." Yeah, I'm guessing that's with the 3G radio, Wi-Fi, and Bluetooth all aggressively slept and the display turned off. Because the TrueSmart isn't using a power-sipping e-ink display, that means the display will be turned off most of the time (and not particularly visible in sunlight), unless you want your TrueSmart to rather quickly become a TruePaperweight. How about some screen-on, data-on power figures, guys? I'm guessing, and this is just a hunch, that they're probably not great! My favorite part of the official Kickstarter video (well, one of them, I have many favorite parts - it is a masterpiece of cringe) is when they demo opening the standard Android Facebook app on the TrueSmart. By showing the login screen, and then promptly exiting the app. Hm, I wonder how Facebook looks on the TrueSmart's 1.54" 240x240 display? There couldn't possibly be any scaling issues. I'm sure Facebook will get around to fixing them, anyway. They also have Hangouts on the home screen, suggesting the TrueSmart will be Play Store certified, but nowhere in the Kickstarter is this actually stated. They also claim to have created a "unique user interface" over Android, though it looks pretty much exactly like stock Android with a white-themed settings menu and some custom icons and apps. Then there are the quotes. Here are a handful of the keepers. 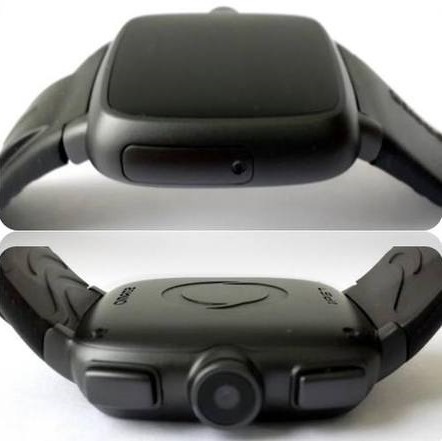 "Smarter than all existing smartwatches, faster processing dual core brain than any other, most developer- & user-friendly Android 4.2 platform than the others, more functions than all, stronger than a rock with a protective metal casing and silicone strap, welcome to the new generation of Smartwatch 2.0, the Omate TrueSmart." "At Omate, design is a mindset, not a department." "True simplicity is about being able to enjoy and engage complex tasks without consciously thinking about them as tasks." "It's the synergy of beauty and brains, simplifying complexity." "I'm your TrueSmart, Omate TrueSmart." 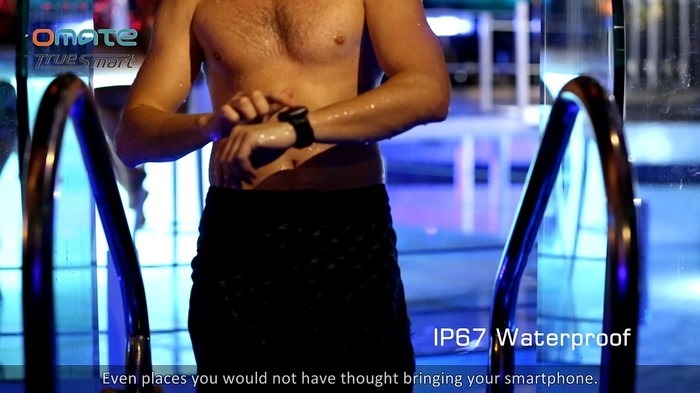 Smartwatches may very well be a good idea for some people, and for doing some things. There may be some pretty good smartwatches that'll come out in the next year or two. This is not going to be one of them, even if it will have the fervent backing of thousands of eager gadget addicts and Kickstarter enthusiasts.